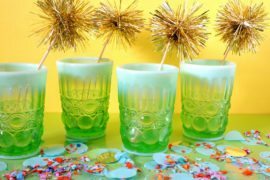 With Easter just around the corner, we thought we’d inspire you with one more post on seasonal decor… This time the focus is on centerpieces! 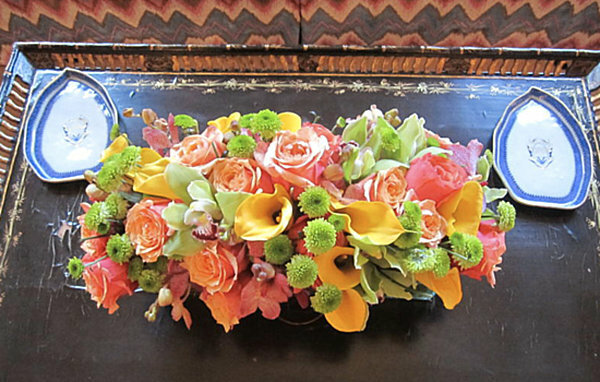 Spring-y, colorful Easter centerpieces that will be the apple of your eye when you sit down to dinner with your family to celebrate the holiday. 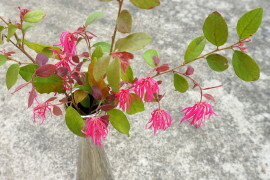 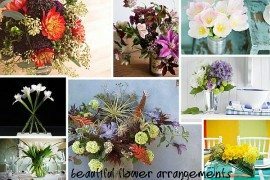 These arrangements are charming and unusual at the same time. 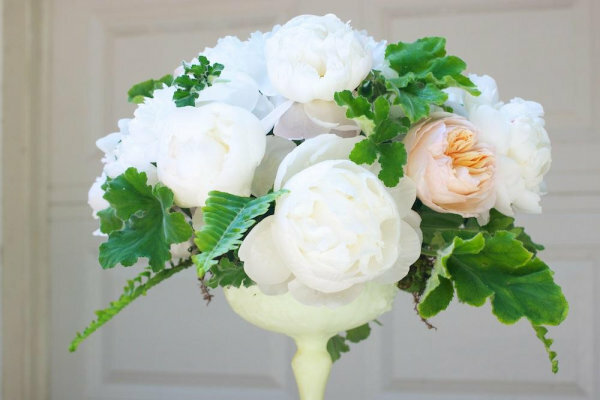 While rounding up the best and the brightest, we noticed three trends: floral arrangements in delicate compotes, tall branches in modern vases, and unusual rectangular arrangements that make a powerful statement. 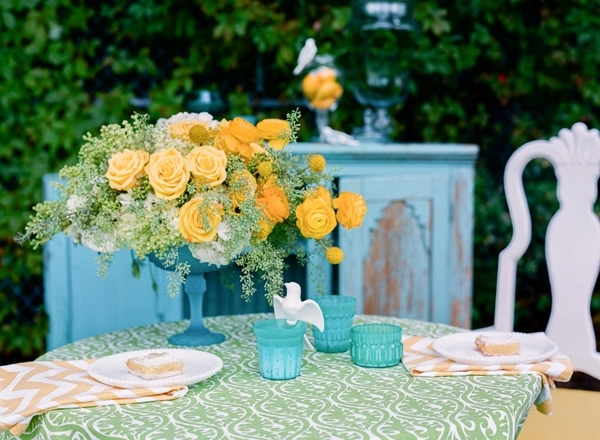 Scan the images below for inspiration, and see if something special catches your eye. 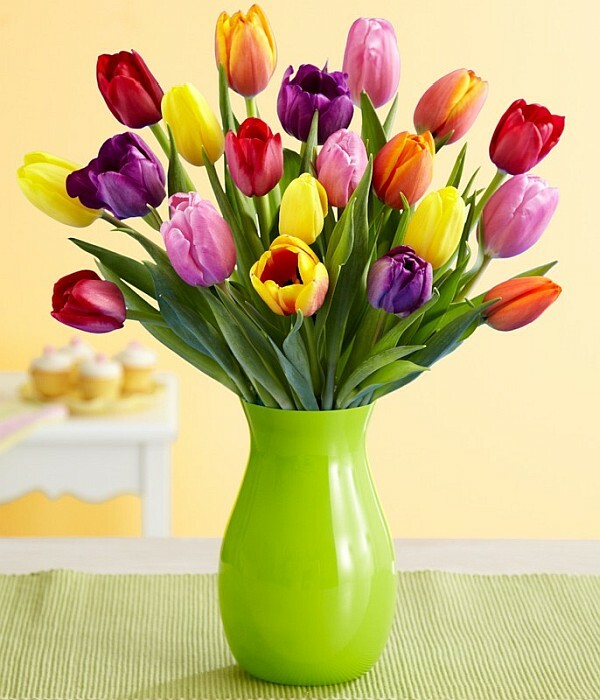 There’s still time to bring the colors of spring to your Easter table! 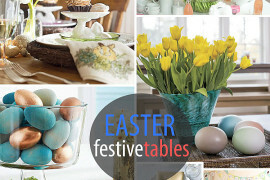 This Egg Dish Centerpiece from BHG.com is easy to make, and the payoff is huge! 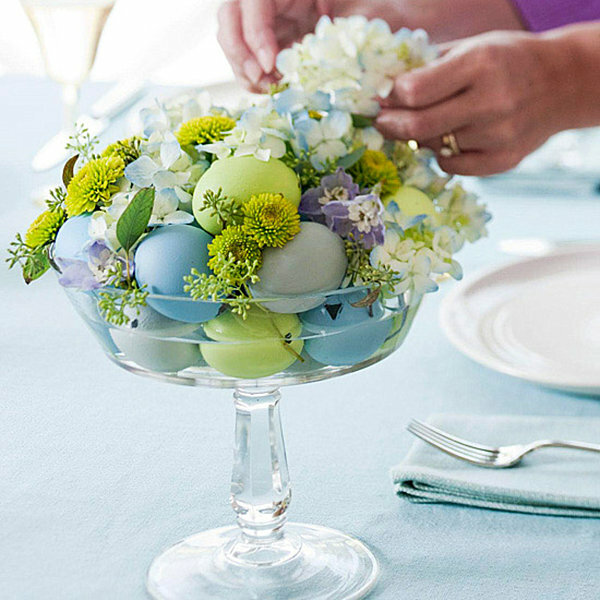 Place dyed eggs in a clear compote, then fill in gaps with delphinium and pom-pom mums. 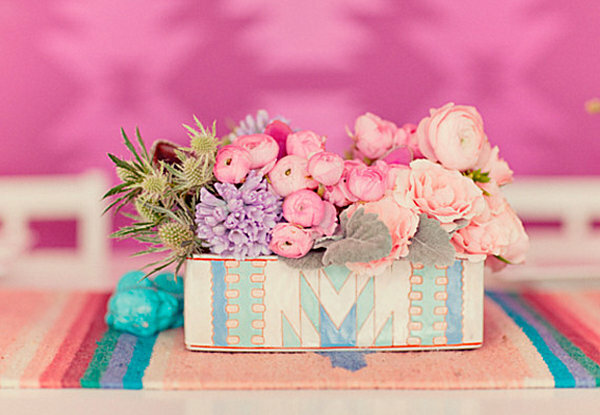 Talk about a floral statement with an Easter theme! 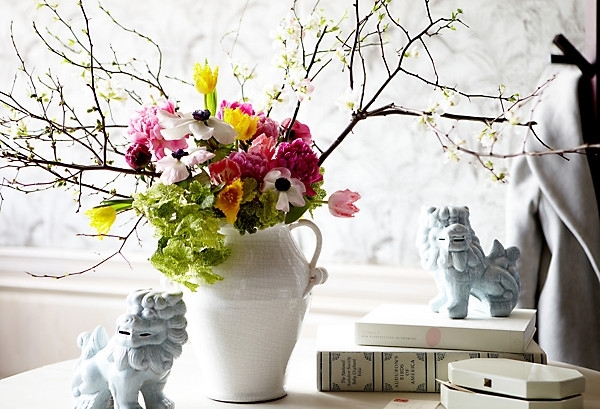 Another spring floral trend: branches of blooms! 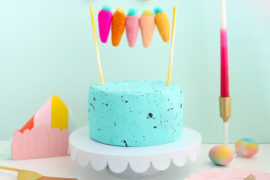 And they don’t even have to be real. 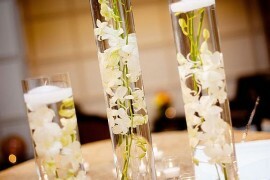 Below we see Talia Vases and Quince Branches from Crate & Barrel. 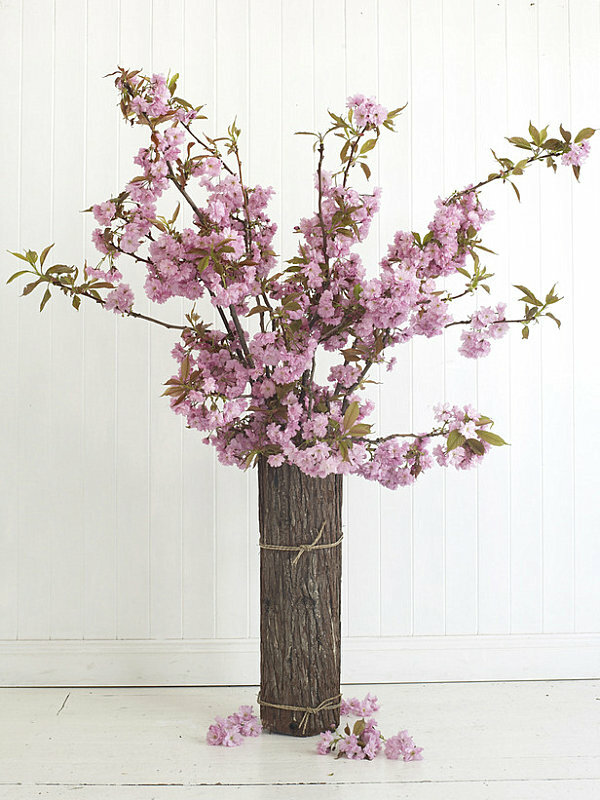 The branches are faux, so you don’t need to worry about water. 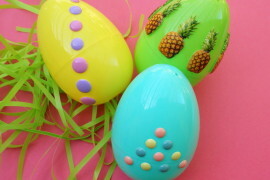 Not to mention, the vibrant orange hue is an unusual choice for Easter, which makes it truly unique. 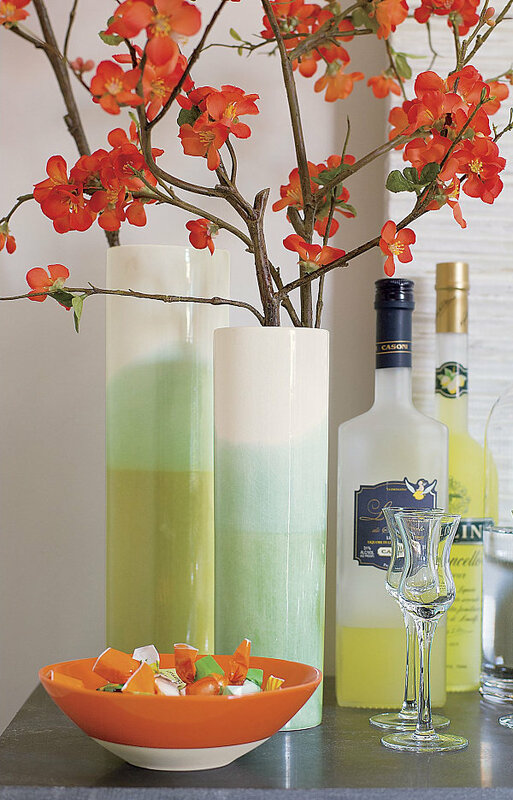 Note how this fiery hue is a beautiful complement to the soft blues and greens of the vases. 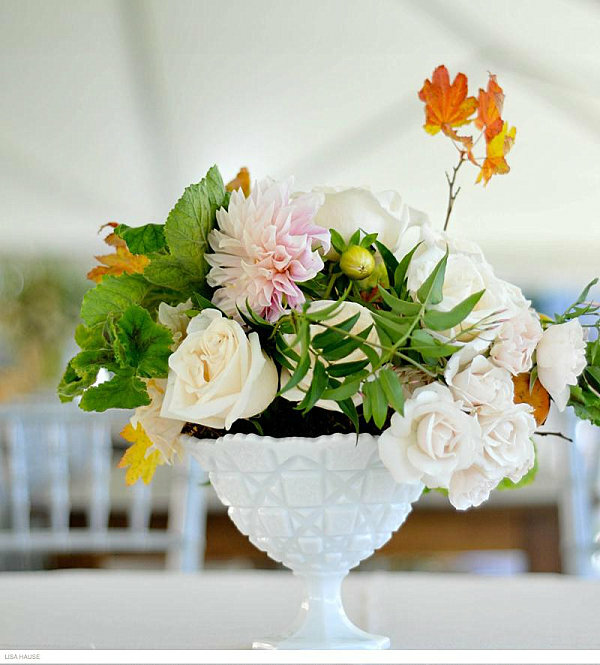 This arrangement from One King’s Lane cleverly uses branches to add an element of height to a pitcher filled with flowers in brilliant shades of spring. 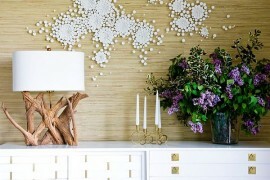 The branches also add an element of drama, don’t you think?! 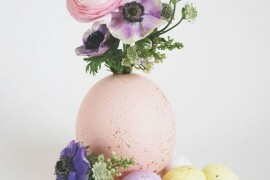 We at Decoist wish you and yours the happiest of Easters. 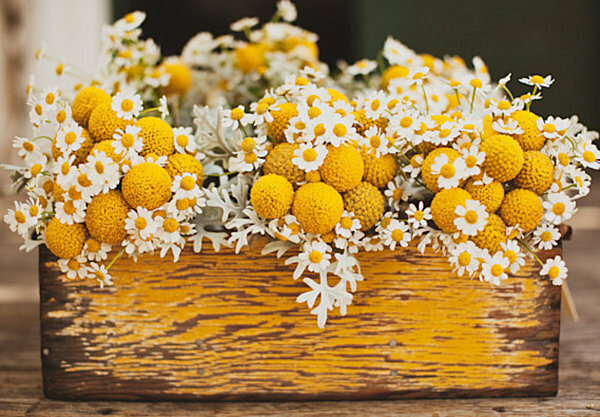 However you celebrate, may this Sunday be filled with peace, joy, and time with the people you care about!